Hisense Hisense 43 Inch 4K Ultra HD Smart TV - Black. Hisense electronics is one of the largest electronics manufacturers, with headquarters in China. Their main product line consists of televisions of various specifications. They are identified as the fifth largest TV brand with features and specifications that provide users with the best of the entertainment world. Their other products include smartphones, air conditioners, refrigerators, and washing machines. The Hisense televisions are available in sizes as small as 32” to fit in your small room and as large as 120” to give you the cinematic viewing experience you desire. With huge investment in research and development, the Hisense TVs have been designed to offer the best of technological innovations in all price ranges. The display resolution is programmed to deliver nice, sharp images, decent black levels, and good colour balance. Available in Full HD, HDR, 4K Ultra HD, the LED and ULED TVs give perfect and accurate picture qualities, all at affordable prices. Designed in the superslim designs, you don't have to compromise on beauty with this brand. Equipped with the familiar Android or Roku interface, their smart TV is equipped with a wide range of apps to keep your entertainment at its peak, connectivity for streaming and apps, HDR and Dolby Vision support, and the google assistant to help navigate through your device effortlessly. Their Laser TV works with incredible laser technology that allows you to enjoy four times viewing satisfaction. Hisense home appliances include the portable air conditioners designed to give you cool comfort in any room of the house. Enjoy the beauty of technology with the hi-smart air-conditioners that make use of cloud-based connectivity via your iOS or Android smartphone to control the portable AC from any location. Their refrigerating system is designed to keep your foods and drinks as cold as you would want it. With different compartments with different freezing ability, selectively ice your supplies and enjoy the beauty of technology. The various sizes allow you to choose the perfect options for your home and stores. The air dehumidifiers allow you to enjoy fresh air within your homes just as you would on a warm fresh day outdoors. With an in-built pump, you can set to different speeds and operating modes. The low sound level, programmable on/off timer, adjustable humidistat and alert make this the perfect solution for your needs. 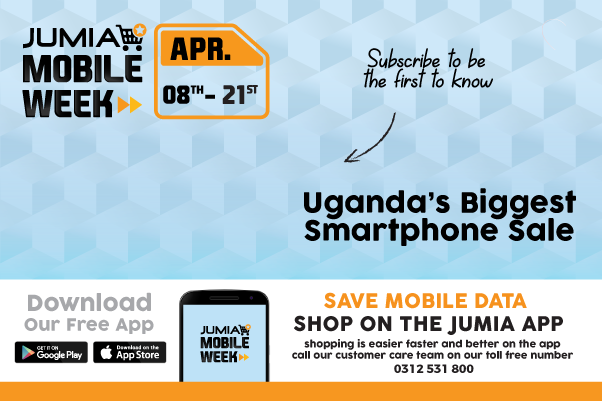 Jumia Uganda, as your number one electronics retail store, brings you the best of Hisense electronics all at affordable prices. Browse through our website to shop your most preferred television or airconditioner, all with a few clicks of your mouse. Choose to pay on delivery on eligible items or pay using our secure and convenient payment methods and have your goods delivered to you anywhere in Uganda.